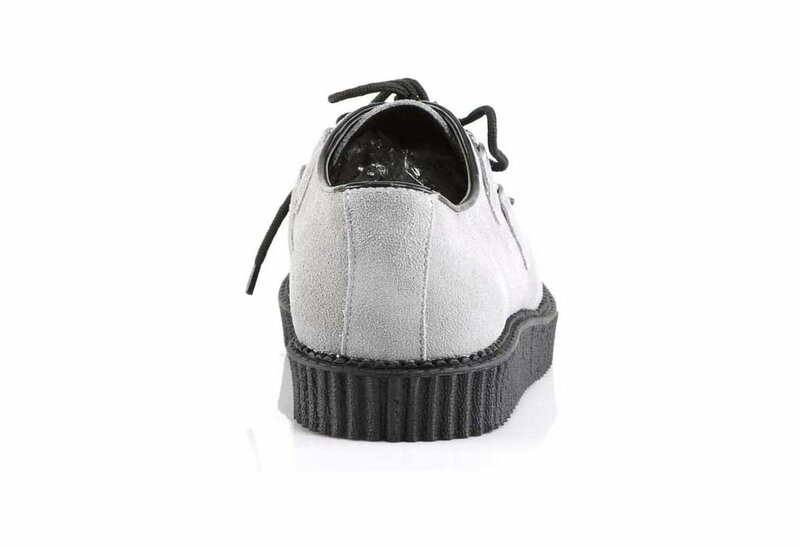 Grey suede creeper shoes with a 1 inch platform and D-ring lace up front. These creepers feature black piping and a interlaced woven toe. The perfect low profile creeper for everyday wear.